Backed by our rich industry experience, we are engaged in offering a quality assured range of Wall Clock. Delightfully designed by our expert craftsmen using excellent quality raw material, this wall clock is widely demanded in the industry. 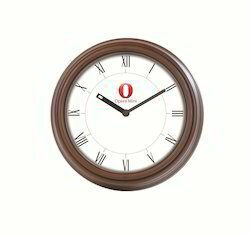 The offered wall clock is available in different shapes, sizes and designs in order to meet the preferences of our clients. Designed to make an impact in any room! This 12" Round Clock with Roman Numerals is made from thick pine based MDF and is great to decoupage on. Combine it with papers from Craftslane to create that very special gift. We are manufacturer & exporter of nautical wall clocks. 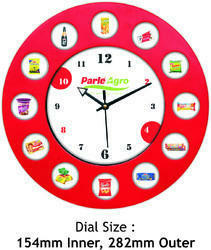 These clocks are useable and durable in use because we use high quality raw material. Blocks of reclaimed wood surround this timepiece each assembled carefully to form a perfect round. The final touches of distress paint adds a retro charm to the whole look to compliment in any modern or ethnic decor.